The term "tree farming" was first used in the 1940's to introduce the public to sustainable forestry terminology they could easily understand. Farming implies continual stewardship and production of goods year after year. By linking the term "farming" with trees, foresters could communicate the concept of sustainable production of forest products over time. Tree Farming implies commitment to the land and was the philosophical opposite of the "cut-out and get-out" philosophy of the early 20th century. Tree Farms are more than pine plantations or Christmas tree farms. Tree Farms are varied in nature and contain many different habitats and stages of forest regeneration, from seedlings to mature timber. Biodiversity is a critical component of a certified Tree Farm. Tree Farmers must maintain natural forest buffers and other aspects of conservation techniques. ATFS was established in response to concerns that America's private forests were being cut at unsustainable rates without reforestation. It all began in 1941 when the first Tree Farm was designated in Washington State. The Tree Farm's purpose was to demonstrate sound forest management practices to area landowners. California's Tree Farm program started later in 1941 and has grown to include over 3,700 Tree Farms covering 3.6 million acres of the state. For more information about the national ATFS program go to www.treefarmsystem.org. 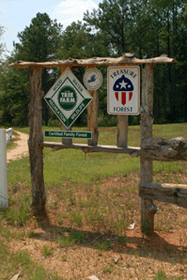 Alabama’s Tree Farm Program is managed by the Alabama Forestry Foundation. 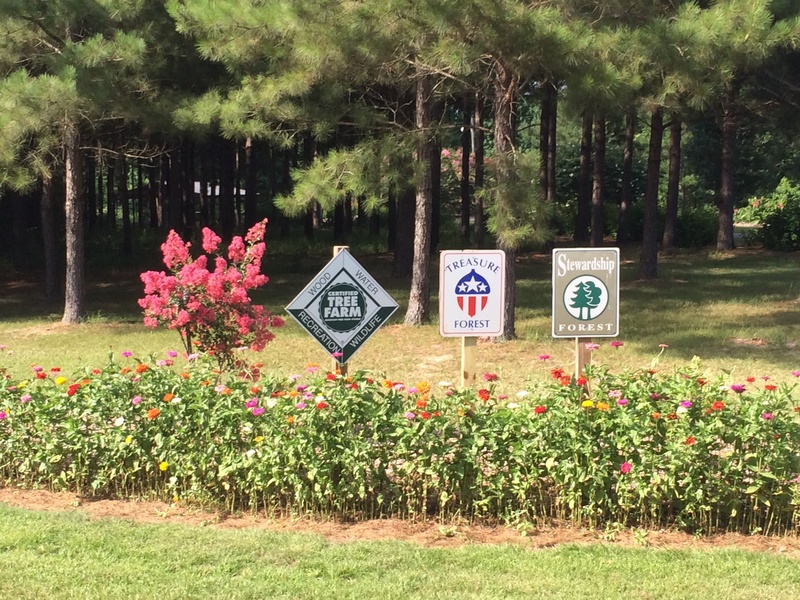 The Alabama Forestry Commission supports the Tree Farm program in many ways. Commission Associates are trained as Tree Farm Inspectors and work closely with the Alabama State Tree Farm Committee to promote the program. Arrangements are made through the State Committee for foresters to inspect and certify Tree Farms and the re-inspect on a periodic basis. These on-the-ground inspections determine whether the property meets the standards and guidelines established by the American Forest Foundation. In addition to getting people enrolled in the Tree Farm Program, the Commission also promotes the program by providing forest owner outreach, education through information sheets, and field day events. If you would like more information on the Tree Farm Program or the other management programs we use, please contact your local Alabama Forestry Commission office.